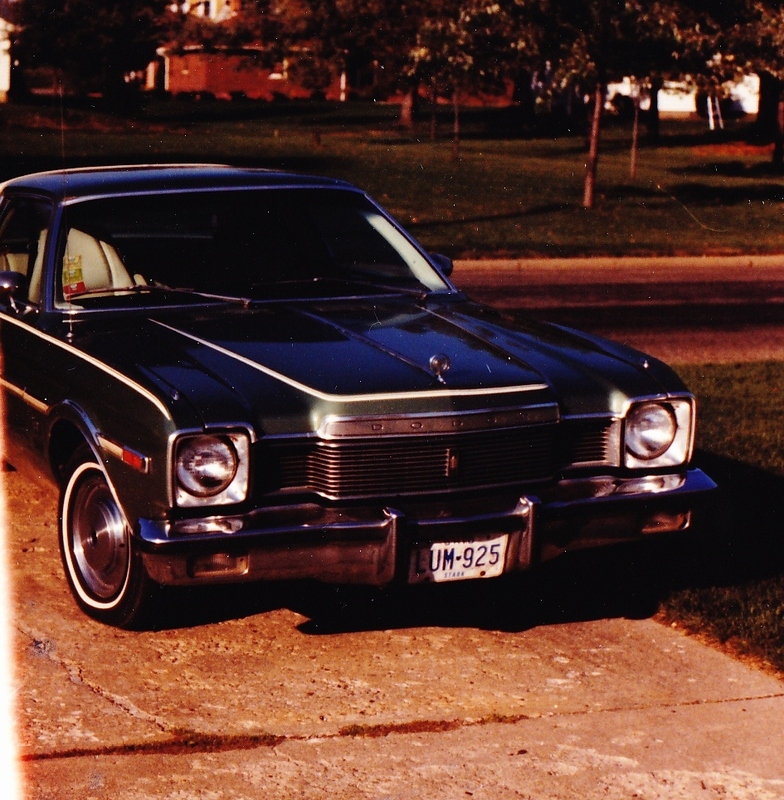 This is my 1976 Dodge Aspen. My first car. 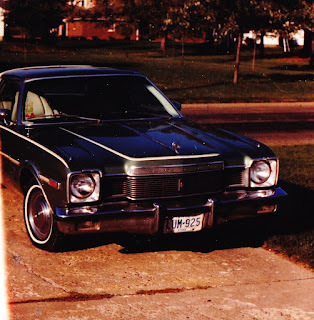 My Dad gave me the title to this car, his car, on this date 30 years ago in 1982. I got my driver's license in it the next day. It was a piece of junk. The front fenders had been recalled by Chrysler but my dad used the recall incentive to buy a new car instead of getting them fixed. Until my Uncle and I riveted on a piece of sheet metal, I would get mud on my windshield from the tires spraying up from underneath. I drove about 12 miles to high school and it took at least 11 of those miles to get the car to warm up on cold, winter mornings. It caused me to learn to drive with both feet, a pretty much useless skill but a skill nonetheless. In order to keep the car from stalling out, I would brake with my left foot and keep pumping the gas with the right. It was easy to flood the carburetor too. Cars don't even have carburetors any more. That's a throw back. However, I learned how to start it by jamming a pen in the butterfly valve. It was an oxygen thing I guess. One year, driving it up to a Cleveland Indians Opening Day, it's radiator died in a ceremonious display of steam. We missed the parade, but filled it with water enough to turn back and get a buddy's car to go instead. As I recall, the Indians lost. Some things never change. One night not long after that an electrical system problem caused the passenger area to fill with smoke. I drove with my head out the window to avoid the smoke and with no headlights in order to see enough to get home. Yeah, it was a piece of junk. Lots of memories though. And lots of incentive to earn some money to buy my own car too, which I did. My first car was a '61 Comet. I paid $400 for that piece of junk in 1967 and then replaced the engine a month later when it blew. I think every penny I made from my summer job at North American Aviation went into that car.